What you need to know about bankruptcy? Filing bankruptcy is definitely not an easy decision to make and should not be taken lightly. If you are considering bankruptcy, then you are probably already overwhelmed by your debt and having to make a very important decision, such as whether or not you should file bankruptcy, can be extremely stressful. However, the more unknowns you can uncover about bankruptcy while trying to make this very important decision, the more it can help elevate some of the stress. You might not even know what questions you need answered and; therefore, below is a list of some of things you might need to know that may give you somewhere to start. You most likely have time to assess your financial situation before making your very important decision to declare bankruptcy. This is of course as long as you are not already facing a time-sensitive situation, such as a repossession or foreclosure. If you are married, your spouse does not have to file with you. And, if you file without your spouse, your spouse’s credit will not be affected. Filing bankruptcy is not free. You must pay a filing fee as well as an attorney fee, but it is the attorney’s fee that makes filing bankruptcy so expensive. Depending on what chapter of bankruptcy you are filing, the attorney fees can range from $1,500 to over $5,000. Bankruptcy filing fees generally range just over $300 in Florida. You will most likely only have to attend one hearing. There are 2 mandatory classes you must take. One is a pre-filing credit counseling course and the other is a post-filing bankruptcy course. However, they can be completed in the comfort of your own home via an online class. Not every type of debt can be wiped out by filing bankruptcy. If your debts are from credit cards, medical bills, etc. then they will most likely be wiped out by a bankruptcy. Unfortunately though child support, alimony, IRS debt, criminal fines, and the like are not affected by bankruptcy. Bankruptcy will stay on your credit for years and can affect your ability to buy or rent a home. Completely recovering from bankruptcy will take time, but it should not be long until you receive your first credit card application in the mail. However, you will most likely have to pay an extremely high interest rate until your credit recovers. Shop around for the attorney who best understands your unique situation. Not every bankruptcy attorney will be equally able to help you with your particular situation. Ask your attorney any question you might have. No question is a senseless question. Don’t assume your attorney will tell you everything you might need to know. They may assume you already know something that you do not. Not everyone is going to find out about your bankruptcy. You will not lose everything that you own. There are bankruptcy exemptions that protect some or all of your property. You must list every debt you owe on your bankruptcy petition. You must list every piece of real and/or personal property that you owe on your bankruptcy petition. Whether you can file a Chapter 7 Bankruptcy or can only file a Chapter 13 Bankruptcy depends on whether your previous 6 months of income is equal to or less than the average income for your family size in your state. Bottom line; find out as many unknowns as you can before filing bankruptcy. The more you know, the less stressful the process will be. 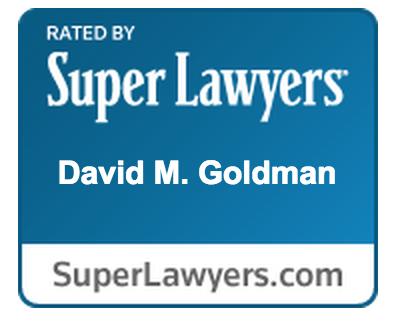 If you do not know where to start, start by scheduling a free initial consultation with an attorney at the Law Office of David M. Goldman, PLLC today at (904) 685-1200. They can help you find where to start and can answer your questions. If there is question they cannot answer, they will find the answer for you.